way to reach the outside world, Tori finally has the . . .
&#34;­I WANT MY SON.­&#34; When Jacob Blackstone sees his former flame holding a baby with the Blackstone blond curls, the Southern millionaire knows the child is his. But why would down-­on-­her-­luck bartender KC Gatlin keep Jacob's heir a secret? Now the bachelor who wanted a family on his own terms must rush to convince the fiercely protective beauty he's daddy material. KC must tell Jacob the truth about why she kept his son from him or risk losing her beloved baby. When the gorgeous mill owner suggests a trial run at domesticity, she can't resist. But is true love part of this baby deal? This stubborn tycoon isn't a family man...­or is he? When Royce Brazier hires the hottest event planner in Savannah to mastermind his charity masquerade ball, it's just another win for his portfolio. But Jasmine Harden isn't some lackey to boss around. The dynamic single mom and her adorable little girl quickly penetrate Royce's business-­only facade...­and Jasmine's passionate kisses cast a sensual spell... Jasmine fears falling for the most eligible bachelor in town, even as she falls into Royce's bed. Is her billionaire boss's bad attitude about family based on a deeper hurt? Perhaps Jasmine and her daughter are the ones to change his mind! 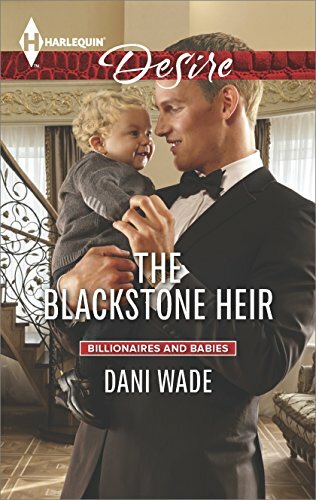 "I WANT MY SON.­" When Jacob Blackstone sees his former flame holding a baby with the Blackstone blond curls, the Southern millionaire knows the child is his. But why would down-­on-­her-­luck bartender KC Gatlin keep Jacob's heir a secret? Now the bachelor who wanted a family on his own terms must rush to convince the fiercely protective beauty he's daddy material. KC must tell Jacob the truth about why she kept his son from him or risk losing her beloved baby. When the gorgeous mill owner suggests a trial run at domesticity, she can't resist. But is true love part of this baby deal? An instant billionaire wants revenge...­and more! Mason Harrington grew up as a rough-­and-­tumble stable boy. But a shocking inheritance enables him and his brothers to return to their hometown and settle some scores. First on the agenda: take over the elite horse farm belonging to the woman who once broke Mason's heart when her daddy said he wasn't good enough. Despite Mason's motives, EvaMarie Hyatt has no choice but to stay on at the ranch and work for him. Soon it becomes clear Mason wants more than revenge. Even more surprising: EvaMarie's willingness to succumb. But will new misunderstandings derail their renewed passion, or will this second chance lead to forever? A Cinderella moment...­with an untamable billionaire Presley Macarthur was always a Plain Jane, a fact her stepmother pointed out at every turn. But Presley's passion is horses, and when a bad business deal leaves her at the mercy of newly wealthy stable owner Kane Harrington, Presley finds herself on the brink of a sensual transformation she never saw coming. Kane has a use for Presley&#8212;­to make him legitimate in the exclusive world of high-­dollar horse breeding. But there's nothing useful about his growing feelings for her. After losing it all before, is he willing to take the ultimate risk again, and make this woman's passionate transformation complete?